The 2012 Nissan JUKE is a five passenger crossover vehicle powered by a direct-injected 1.6-liter 4-cylinder engine that produces 188 hp and 177 lb-ft of torque. 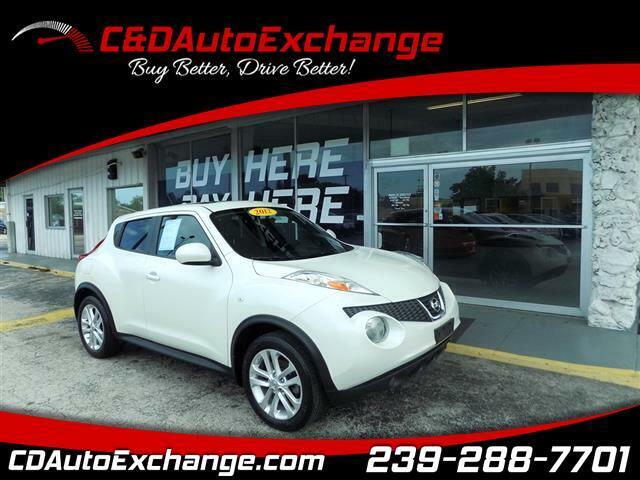 This White Pearl Nissan Juke comes with the optional AWD and Xtronic automatic transmission with sport mode. Features include navigation, vehicle alarm impact sensor, 17-inch alloy wheels, rear-roof spoiler, stainless steel exhaust finish, chrome accessory package, heated seats, and illuminated kick plates. This Nissan has it all. Visit our Fort Myers location or call 239.288.7701.